PALLAS'S WARBLER WAS THE HIGHLIGHT OF ANOTHER GRAND DAY OUT AT SPURN with Mark Varley and Rocket. A constant stream of admirers passed by the roadside verge at Kilnsea to look for this albeit elusive little beauty. Difficult enough to see, let alone photograph, we spent several hours standing around trying the recreate the first few minutes of our time with it to no avail. Truth is there was so much else to see on a classic late autumn day of migration at Spurn. Soon after we got out of the car at the Warren the first of three Great Grey Shrikes was on driftwood along the saltmarsh, which it occasionally returned to when not hunting Goldcrests. The sky and bushes were full of birds: many hundreds of winter thrushes and starlings; siskins and redpolls headed south calling overhead all day; a few small groups of Bramblings were our first of the autumn; two or three Short-eared Owls frequented the Triangle area; a female Merlin dashed past at the new narrows hunting shorebirds and a three Whooper Swans flew south whooping as they went. The birds certainly brightened up a dull day with a light NNE wind and occasional drizzle! 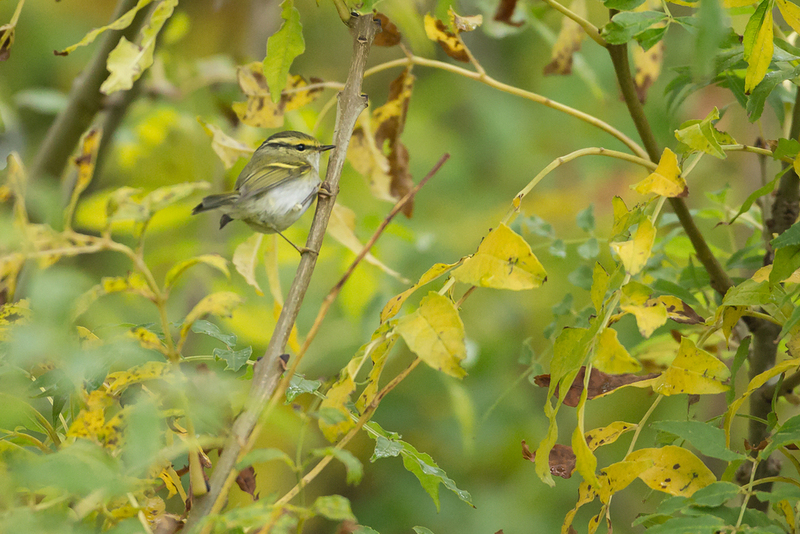 The variety of migrants was fairly low with typically later birds like Goldcrests (every bush had at least one or two!) robins and Redwings, Fieldfares and blackbirds dominating with a few Blackcaps and chiffchaffs amongst them. Migration spectacles like this are definitely the 'new rarities' for me! There is nothing quite like an autumn fall at Spurn. We ended with a fine point blankSnow Bunting in the clifftop caravan park and the American Golden Plover in a field with lapwings along the Easington straight. What a great way to finish off another fantastic day! Back to the Middle East tomorrow. Goldcrest = another contender for bird of the day! Some within touching distance. 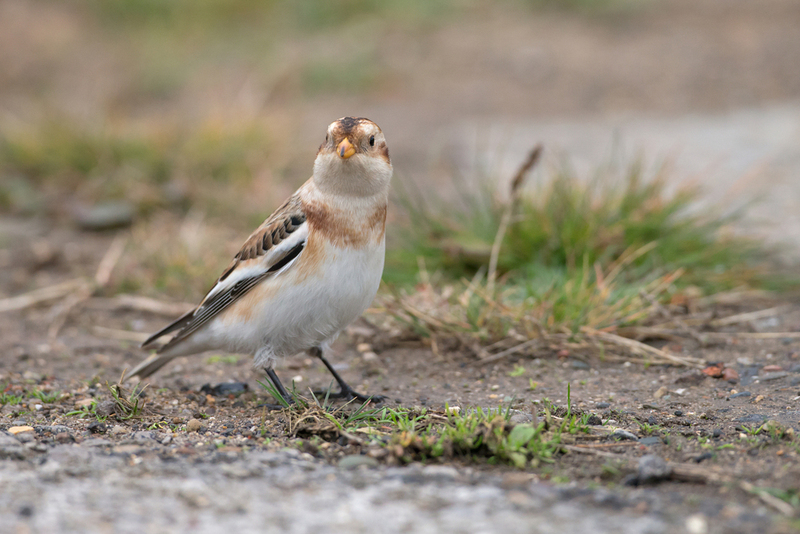 Snow Bunting, Kilnsea Caravan Park - I hardly dropped below 3200ISO in the gloom today. The Humber shore from the Canal.